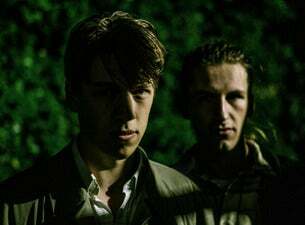 Rory and Eoin also known as Drenge play with raw enthusiasm and velocity, enough no holds barred energy and contagiousness that their music never becomes anything less than wholly and compulsively thrilling. Their sound can be described as most exhilarating chapters of punk rock whittled down to its leanest, meanest, no-frills essence; 12 razor sharp tracks. Songs like “Face Like a Skull” and “Nothing” speed by recklessly in a dizzying blur of white heat and seething riffs, while others, like raucous fan favourites “People in Love Make Me Feel Yuck” and “Dogmeat” come across as relentless shots of adrenalin straight to the cerebral cortex, so anthemic, rapturous and stuffed full of ringing guitar chords and deadpan lyricism are they.